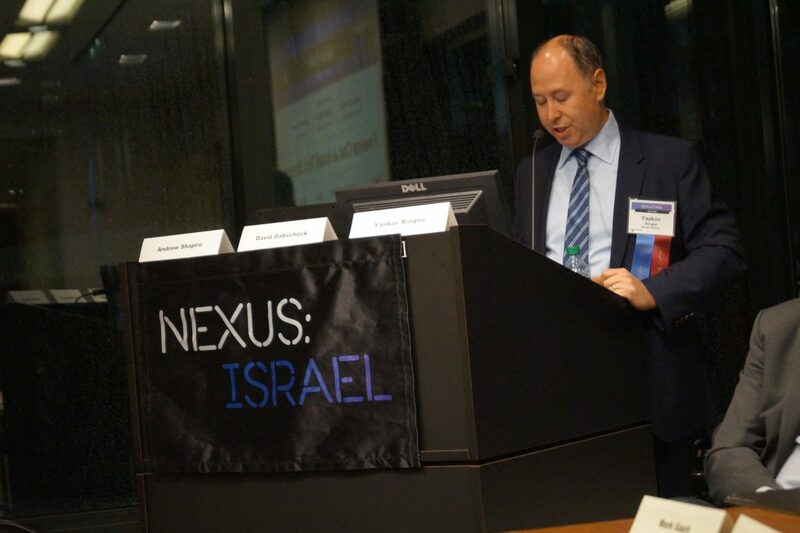 In January 2018, NEXUS:ISRAEL launched NexusTalks, a new speakers series designed to continue the NEXUS:ISRAEL conversation. 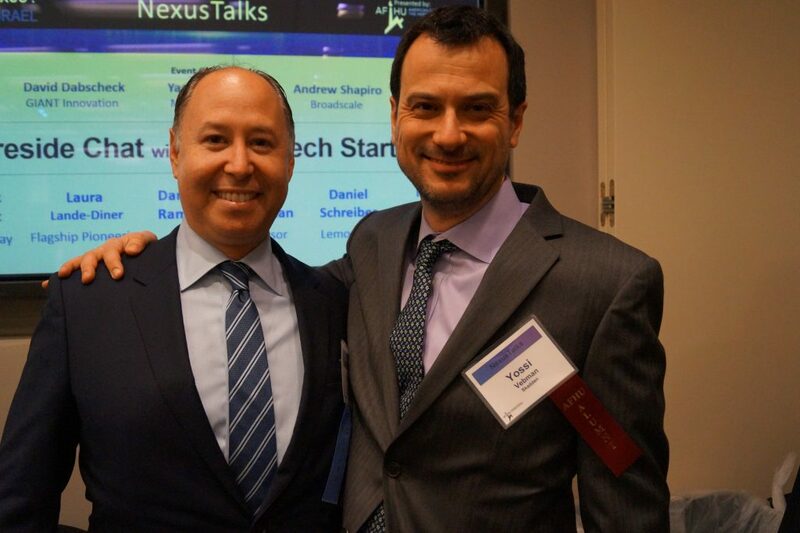 NexusTalks will provide industry leaders and technology gurus with a platform to share their stories and challenges, and highlight technology advancements on the horizon. 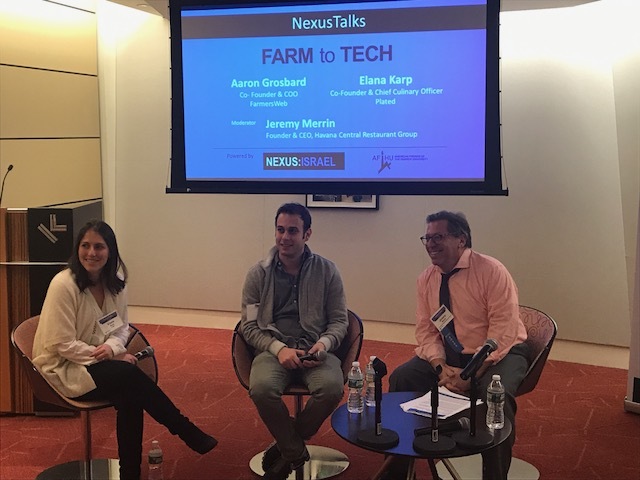 NexusTalks kicked off its series with panelists in the AgTech arena. 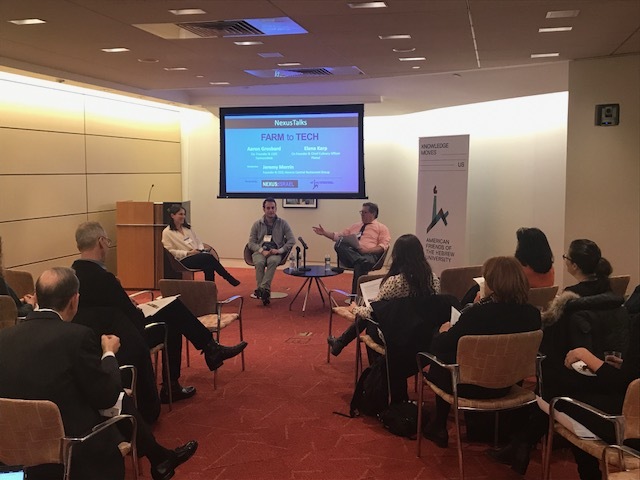 Aaron Grosbard, Co-founder & COO of FarmersWeb and Elana Karp, Co-founder & Chief Culinary Officer of Plated, were joined by Jeremy Merrin, Founder & CEO of Havana Central Restaurant Group moderated the discussion. 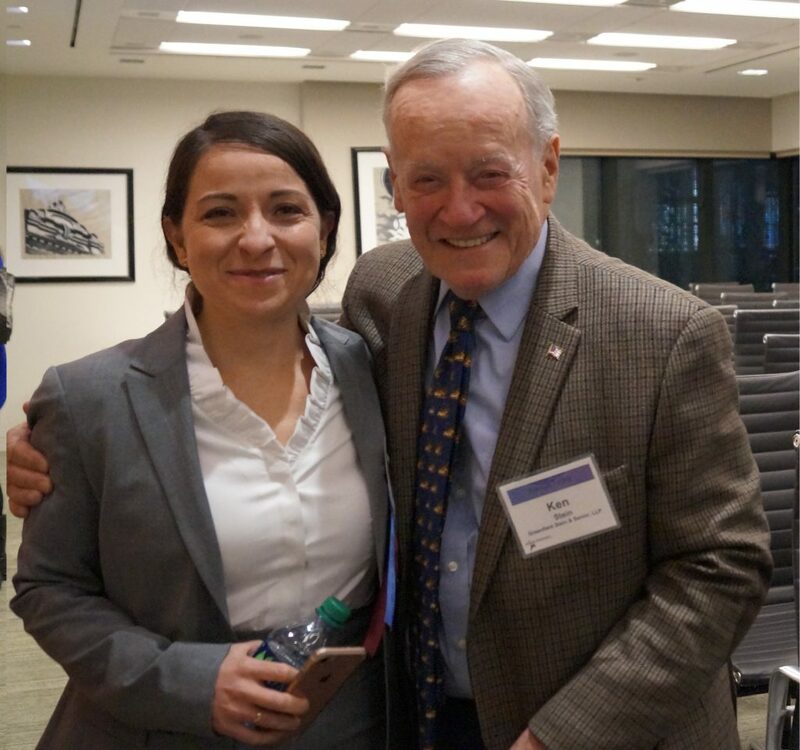 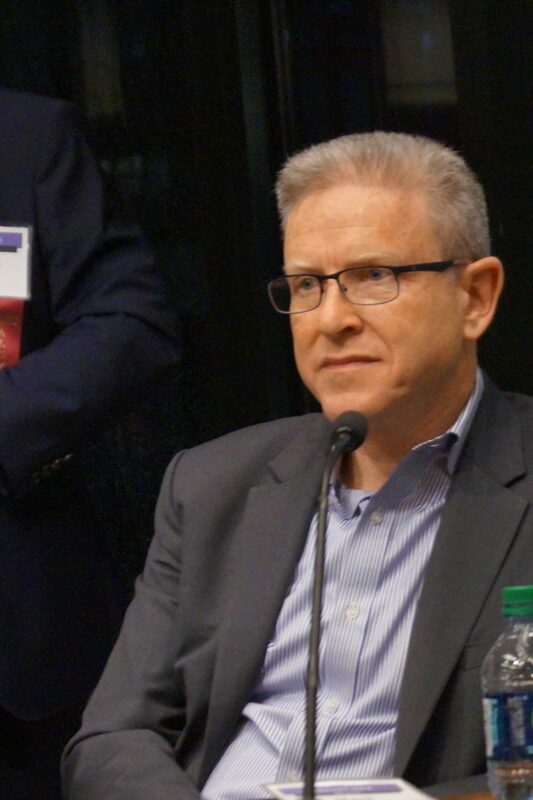 Kramer Levin Naftalis & Frankel LLP hosted this event. 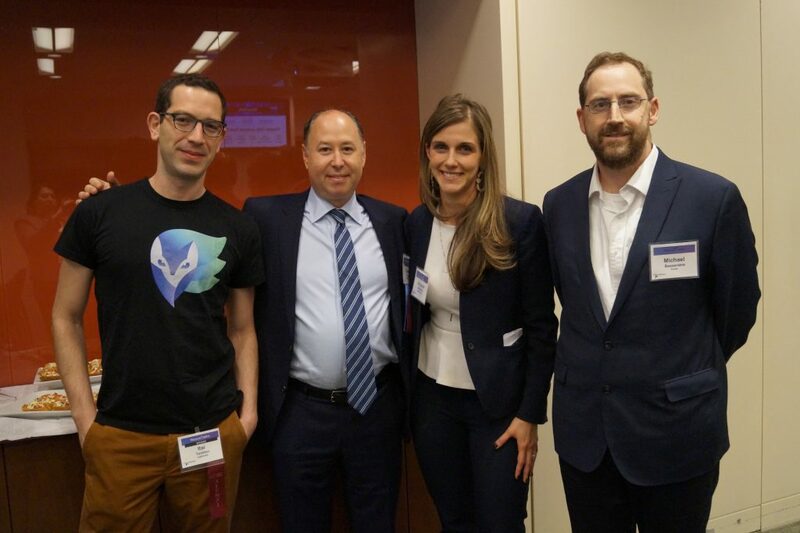 AFHU proudly showcased HU Alumni who founded successful startups that disrupted various sectors, including cybersecurity, e-commerce, fintech, and transportation. 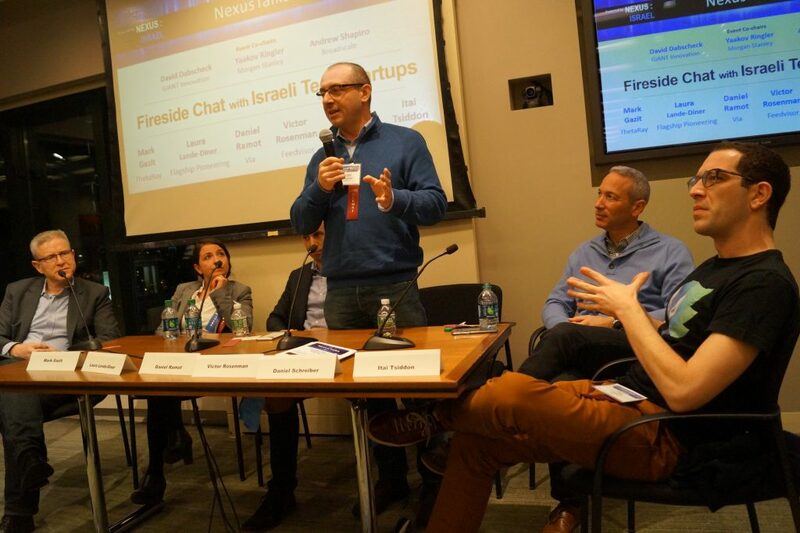 Panelists included Mark Gazit, ThetaRay, Laura Lande-Diner, Flagship Pioneering, Daniel Ramot, Via, Victor Rosenman, Feedvisor, Daniel Schreiber, Lemonade, and Itai Tsiddon, Lightricks. 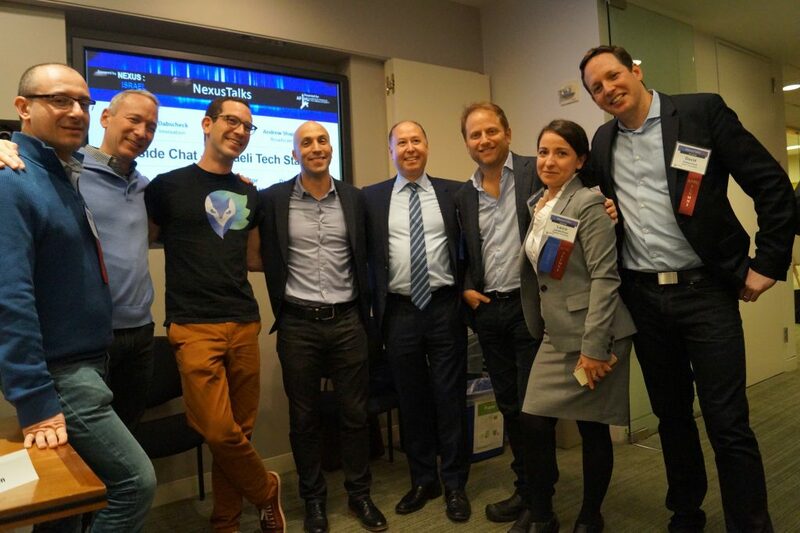 Event Co-chairs were David Dabscheck, GIANT Innovation, Yaakov Ringler, Morgan Stanley, and Andrew Shapiro, Broadscale Group. 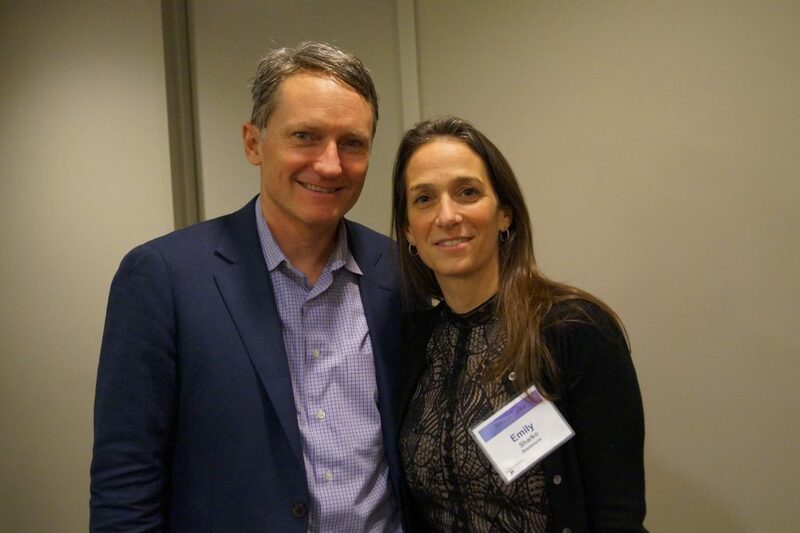 The evening’s gracious host was Arent Fox LLP.